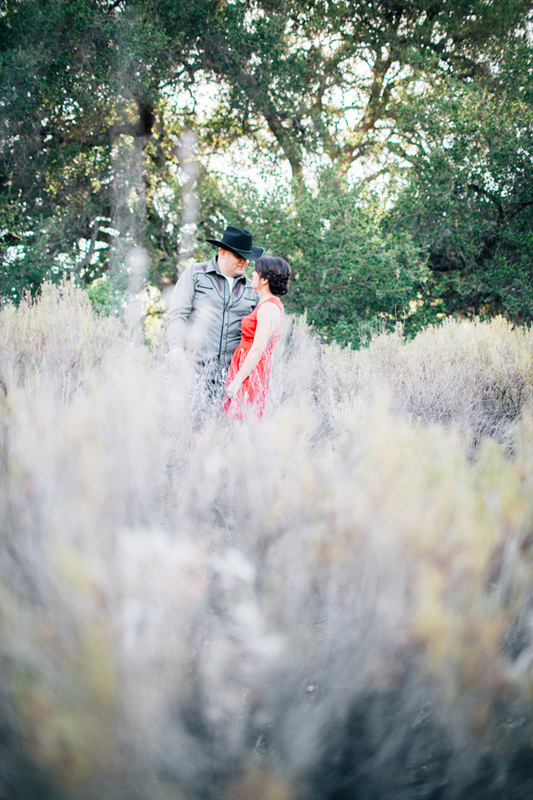 Christina and Paul were such a pleasure to work with! Every couple I meet always tells me that they are not models, and don't know what they should quite be doing. 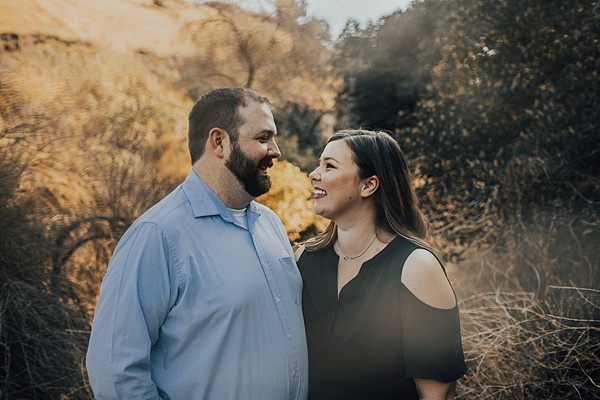 Some couples take longer to warm up to the camera than others, but moments after we started shooting Christina and Paul were totally in their element! 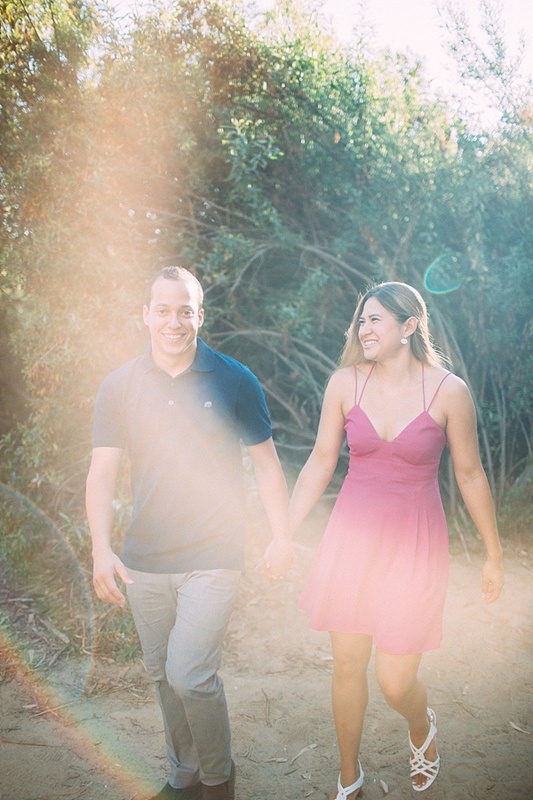 We met in the Pacific Palisades as the couple wanted to do an "ocean/beach" shoot, without being at the beach. Their love for one another and their chemistry is unreal. Congrats on your engagement! I've known Lana basically my whole life. I was so excited when she asked me to do her engagement session. 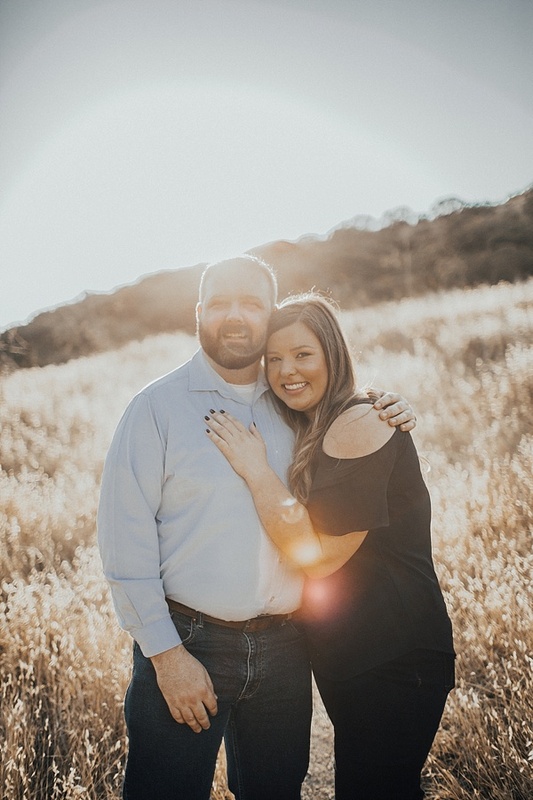 We did the engagement session at her fiancés parents home, which to me was something new, but I absolutely loved it. The home was so charming and the session was so them! Lana's pup tagged along for some shots. We then decided to go to where Eugene and Lana met- Aroma Cafe! The whole day flowed so perfectly and the love between these two is beautiful. Congrats Lana & Eugene! A few weeks back Gabby & Vincent had a Crossfit Engagement photoshoot, and we wanted to follow that up with some formal photos. Throughout the whole session they were all smiles and giggles. We took a short walk close to sunset and they brought their Cowboy/girl flare with them! 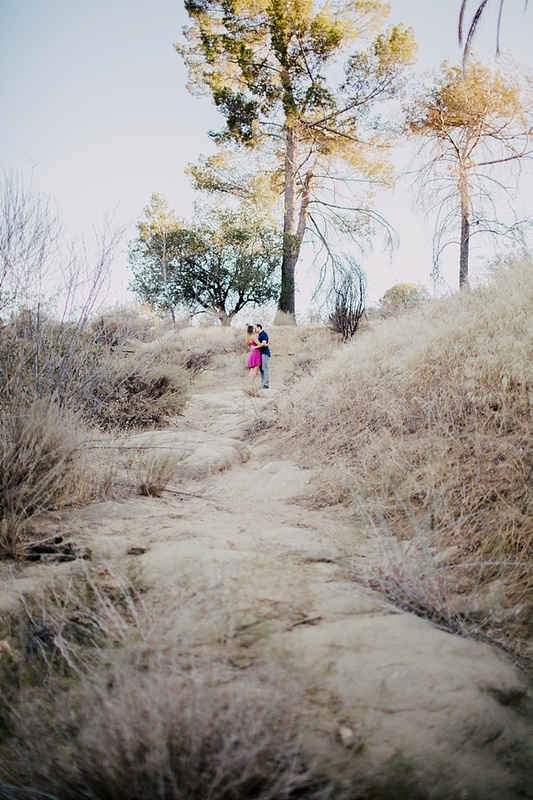 It was so much fun to hike these hills with them, watch them dance, giggle, and be completely in love with each other. Wishing you guys a lifetime of happiness! Crossfit is my healthy addiction. I met Gabby and Vince at a crossfit class at Crossfit Chatsworth. Gabby and I started working out together at 5:30am, when I heard she comes back and does two a days most days, which blew my mind since the only time I have done that is when I was training for a competition- I guess Gabby is just training for life! Being the curious person that I am, I asked her why and she told me she was getting married in August (see training for life). Hearing this I let her know I was a photographer and both of our gears started turning. Vince and Gabby are also crossfit addicts. With this said, to show off their crazy passion for this sport they get to do together we decided to start off their two part engagement session with a WOD (if you don't know what this means or the terms in the next sentence, fear not, it will all make sense in the photos). Between doing cleans, snatches, deadlifts, wall balls, pull ups, tire flips, sled pulls, working on the ghd, doing back squats, kettle bell swings, and rope climbs, we had so much fun laughing and playing with their dog Princess. I love when I get to combine my profession with what I love to do and get to do it with friends! 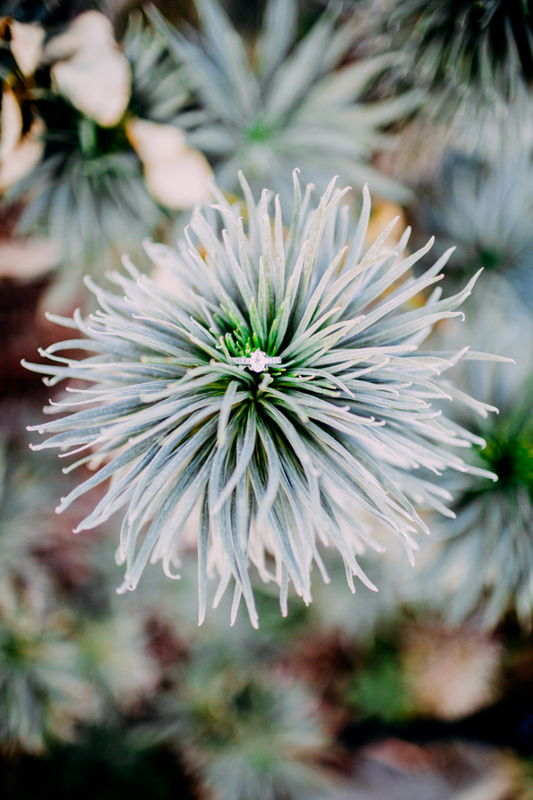 I will let the photos speak for themselves, but this was one of my most favorite shoots. Couples who WOD together definitely stay together! I can't wait to show you guys the other side of these two with their formal photos soon! Big thanks to Tom and Kim (owners of CF Chatsworth) for letting us use our home away from home. Make sure to get to the end of the post to find out what their special WOD was, I think everyone needs to AMRAP it! I've known Steph and Joe for some time now, and I have to say that this is the funnest couple you will ever meet! Steph and I used to work together, Joe and I currently work together, between all of our office jokes, sassy comments, and random hallway dance parties, I don't think we ever found time to stop laughing- their engagement session was no different. 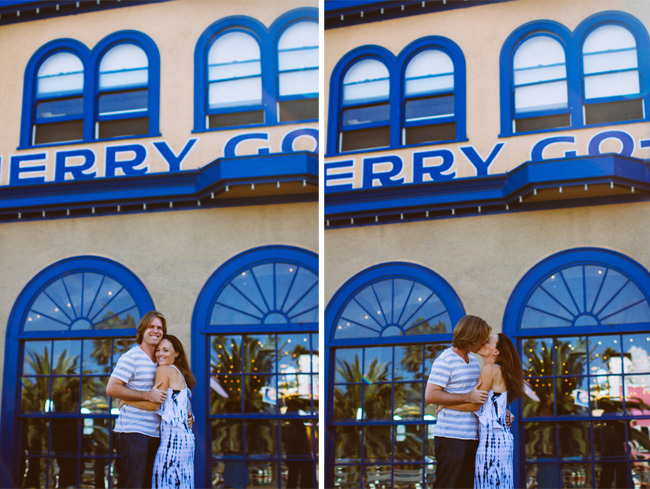 Steph and Joe demonstrate carefree, genuine, kind, fun love! It was so refreshing to be able to spend the day with them, doing what we all love to do, ride rides, drink, throw some stuff at each other. Thanks for letting me document your love!